Relocating between countries is different than moving between states. It requires more skill and resources to make the relocation went smoothly without having a problem. 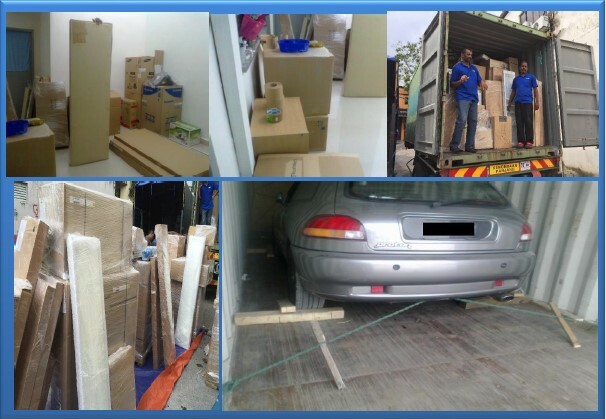 Central Movers and Storage provided full packing and removal services for individuals moving to and from Malaysia. free consultation customs regulations and proced ures at the destination. provided supervised local packers who are skill and experienced. the ability of language - English / Bahasa Malaysia speaking packages of supervisors. provide appropriate packing materials and approriate. preparing a list of inventory, labelling and crating (if necessary). provided tranportation for the move. insurance packages provided option for transit, storage and / or insurance on the open sea where necessary. the savings in travel and / or short it safe, regular and air-conditioned when needed. the purpose of clearance , delivery and unpacking service (applied to door-to door service). SEK 33, 42450 SHAH ALAM.